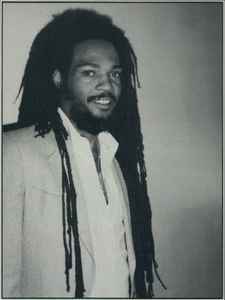 Keith Hudson was born into a musical family in Kingston, Jamaica in 1946. His musical education began as Hudson worked as a sort of roadie for Skatalite and Jamaican trombone king Don Drummond. By age 21, Hudson, who had been trained as a dentist, sunk his earnings into his own record label, Inbidimts, and had a hit with Ken Boothe's recording of "Old Fashioned Way." Not long after this chart success, the suddenly hot Hudson was producing some of the biggest names (and soon-to-be biggest names) in reggae -- John Holt, Delroy Wilson, Alton Ellis, and the great toasters U-Roy and Dennis Alcapone, all of whom benefited from what would be Hudson's trademark production style: groove-centered, bass/drum-dominated, lean and mean stripped-down riddims. By the mid-seventies, Hudson began releasing more solo work, hitting paydirt from the start with his 1974 debut, "Entering the Dragon" and his intense second record, "Flesh Of My Skin" for Brent Clarke's Tottenham based Atra imprint. This 1974 set was the first real solo flowering of Hudson as "The Dark Prince Of Reggae", the overriding atmosphere was sombre and brooding, but also righteous and proud. In 1976, Hudson relocated to New York City and worked pretty much nonstop, producing as well as recording solo records up until 1982. He succumbed to lung cancer on 14th November 1984, at age 38. Associated record labels: Inbidimts Records, Imbidimts, Inbidimts Now Sounds, Rebind, Mafia, Joint International, Hudford Records, Mamba, Big Style, Atom(6).